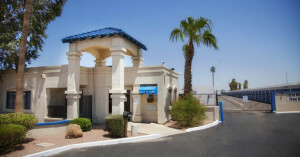 We have 9 Arizona Self Storage Locations. The Copper State is known for its warm winters and outdoor adventures. From the Grand Canyon to the Tonto National Forest to the Kofa National Wildlife Range, Arizona has a variety of terrains and lifestyles. 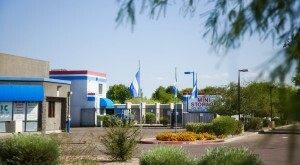 Whether you’re looking for a large metropolitan or a peaceful town, Arizona has everything you’ll need. 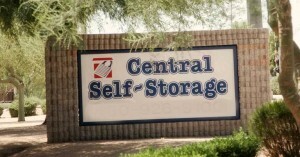 Students, families, and business owners can all benefit from our storage solutions at Central Self Storage. Store your out-of-season items, excess furniture, or even business documents with us to hold on to what’s important without cramping your personal space. Outdoor lovers can even benefit from our high-quality storage facilities. From the lesser-known Arizona ski slopes to Grand Canyon hikes, your recreation equipment takes up a lot of room. 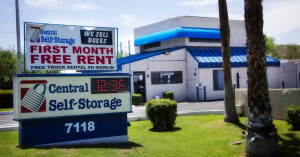 With our self storage units, you can stay clutter-free without giving up your favorite adventures. Let’s face it, Arizona is hot. 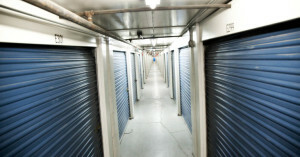 That’s why we offer climate-controlled storage as well as on-site carts and dollies. You’ll be able to move your belongings in faster without worrying about anything melting. 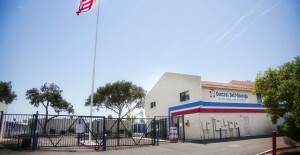 Find your nearest Arizona storage facility today to discover everything we have to offer!